How to incorporate a handmade feel into your branding. Recently, we’ve seen a resurgence of brands adopting a crafty, handmade aesthetic, and an increased focus on tactile and analogue elements. However it's not enough to just stick a script font on your packaging design. 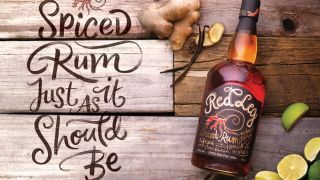 When Kyle Wilkinson was asked to rebrand RedLeg rum to put more emphasis on the brand’s provenance, he hand-painted a script-style brush type and combined it with metallic inks to create a laid-back, Caribbean vibe. This kind of attention to detail can make or break this aesthetic. Here are our top tips for embracing bespoke lettering in your branding work. If hand lettering works with the overall brand – its origins, its ethos and its audience – great. If not, avoid; people will see straight through a tech giant trying to look personable using nothing but a script-y typeface. “It’s got its uses, but I feel it’s a lazy approach sometimes,” says Wilkinson. Specialist typography often requires special finishes: embossing, foils, and spot colours, for instance. So it’s best, where possible, to work as closely as you can when it comes to printing the project (preferably, be physically present). That way, you can see the colours, finishes and other elements as they’re done. For more on this, take a look at our tips for getting more from print projects. "For a logotype to be ‘great’ it has to be beautiful – in whatever style or font it’s in,” says Jessica Hische. It must also be legible. “The logo is the first visual insight a lot of people get into the company – it’s an opportunity to set the tone for how they want to be perceived and what they want people to think of them and what they do,” she adds. This article was originally published in Computer Arts, the world's best-selling design magazine. Buy issue 278 or subscribe.